The Stingers and Rouge et Or had to contend with a heavy downpour that lasted for the duration of the second half and didn’t make things easy for either team. Concordia employed the 4-5-1 formation, using forward Matthijs Eppinga as the lone striker. Eppinga recorded the Stingers’ first shot in the 12th minute after he was released with a through-ball from attacking midfielder Claude-Arthur Diesse, which gave him space down the left side and permitted him to fire a shot into Laval goalkeeper Vincent Cournoyer’s midsection. While possession was split between the two sides for much of the first half, Laval’s Samuel Georget put his team on top in the 32nd minute. Georget took advantage of the Stingers’ failure to pick him up on a corner kick opportunity and rose to smash a header past Concordia ‘keeper Nick Giannone. Laval was awarded a penalty kick for a suspect handball a few minutes later, but Giannone parried the incoming shot out and to the right for yet another corner. Concordia had its best chance of the half in the 44th minute, as midfielder Ryan Brousseau put in a back-post free kick from the left to Eppinga, who headed the ball firmly on goal. After the break, Laval netted three goals in an 11-minute span. Forward Ilyes Benmiloud struck a perfectly placed corner kick in the 53rd minute, which floated into the penalty area, ricocheted off of Giannone and trickled in. Benmiloud found the back of the net again just four minutes later, increasing his team’s lead to 3-0. David Chapdelaine-Miller beat a sprawling Giannone with a blast over his shoulder in the 64th minute and forward Gabriel Moreau was credited with the final goal. Concordia also lost its second game of the weekend, a 4-1 defeat against UQAM on Sunday. They welcome the UQTR Patriotes this Friday, Oct. 1 at 8:30 on Loyola Campus. Concordia’s women’s soccer team tried to reverse a first-half deficit of two goals during Friday’s away game against the Laval Rouge et Or, but ended with a 3-0 loss on the cold night in Quebec City. “We could have played just to save our honour, to only lose 2-0 at the end, but we pushed players forward and we had our chances,” said Stingers head coach Jorge Sanchez. Rounding out the scoring were Laval’s Melissande Guy in the 15th minute, midfielder Caroline Collin in the 33rd minute and Marwa Chebbi later on in the game. Concordia goalkeeper Andrea Davidson was kept busy in the first half, as the Stingers had a tough time finding a way through the Rouge et Or defence. “Andrea keeps looking more and more comfortable, both in her shot-blocking and in the way she’s guiding her team back there,” Sanchez said of Davidson, who made a total of 19 saves. Her first test came in the eighth minute as Chebbi centered a pass for Guy, who fired a low shot that Davidson was equal to. Guy opened the scoring as a whipped-in corner kick was headed downward and took a few deflections before entering the net. The second goal caught Concordia’s backline by surprise, with winger Gabrielle Verret raced down the left and swinging in a low ball to Collin, who attempted to take one touch to control the ball, but ended up side-footing it beyond Davidson and into the top right corner. Davidson denied Guy a second goal just before halftime by coming out to rush the charging Laval forward and by cutting the angle just enough to push the ball safely out for a corner. The Stingers frustrated Laval in the second, as the defense produced numerous successful challenges and tried to open up the Rouge et Or on the counter attack. Coach Sanchez tried injecting some offence by sending in striker Sarah Burge and midfielder Hannah Lise to exploit the right side. However, two minutes from the final whistle, Chebbi was allowed to waltz into an offensive position on the right and past a fatigued core of Concordia defenders before firing in a low shot for the game’s final goal. 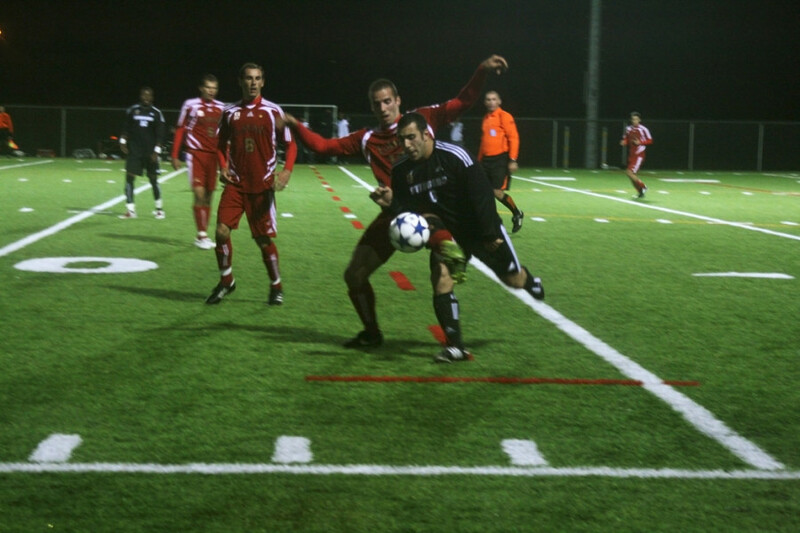 The Stingers played UQAM and lost 2-0 on Sunday. They will face UQTR this Friday, Oct. 1. This article originally appeared in The Link Volume 31, Issue 07, published September 28, 2010. 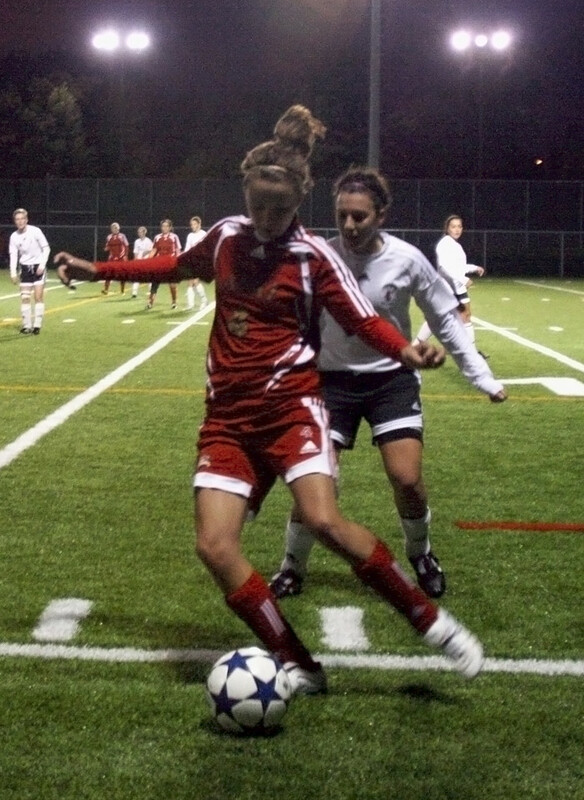 Laval 6, Concordia 2: Women’s Soccer Team Routed in Poor Performance.